Things have been very busy lately at the Drew household. My family and I recently moved, and then the holidays struck like an avalanche. I’m still digging myself out of the snow… literally and figuratively. Now that things have slowed down a bit, I have more time for writing and reviewing. Testing season is here, so it seems like the perfect time to write an evaluation for a popular test prep website. My Test Buddy is first up on the list. Studying for standardized tests is not only monotonous and tedious, it is typically also a lonely endeavor. You find an empty table in the back corner of a quiet library or lock yourself in your bedroom for hours. Friends start to disappear, your mom calls to make sure you’re eating, and your girlfriend threatens to break up with you because all your free time is now consumed with practice GMAT exams. Or maybe that’s just what happened to me. I surely could have benefited from an interactive, engaging, study system that allowed me to contact other people who were locked in isolation like I was. I could have used a buddy. Some people learn better in group settings and Mytestbuddy provides students with access to other testers, as well as, test prep material to make the study process less lonely. According to their site, Mytestbuddy “is a pioneer in the education social networking in India and is a fantastic application that has answers to all your troubles for online tests.” This is a great learning tool for busy students who are looking for a collaborative web-based learning platform that provides study aids and practice tests to help prepare them for standardized tests such as SAT, AIPGME, GMAT, GRE, CAT, AIEEE and more in an engaging and interactive learning environment. – Loved the relaxed and an enriching online experience. The site isn’t hard to navigate and it allows you to interact with your peers and professors to seek guidance and share ideas. – There is a “Note Bank” that allows you to take notes and save them for later. – Mytestbuddy isn’t only for students. Teachers can use the site to develop content, teach an e-class, increase class interaction, track progress, improve outcomes and make content more accessible. – Signing up for Mytestbuddy was also super easy. All I had to do was fill out a quick form or signup using my Facebook account. I created a free account and was given the option to upgrade to a premium account if I wanted access to additional test prep or exclusive tests. The upgrade costs $700 a year. – Users can read blogs and articles based on the exam they are preparing for. – There are hundreds, literally hundreds, of practice tests in the free tests section. – The practice tests are highly addictive and fun. You even receive a certificate for some of the tests. -It would be nice to browse a little more of what the site has to offer before signing up. Prospective users cannot really see what they are signing up for ahead of time. – The price for premium is a little steep in my opinion for strapped college and grad students. That $700 a year breaks down to about $58 a month, which may be expensive for some students on a budget. I suggest trying all the free tests first and only getting premium if you run out of tests to take. Other competitive test prep sites, such as Educator.com, offer student plans that start at $300 a year. That’s only $25 a month! – While the international aspect is amazing (although the majority of users are from India), it may be difficult for students to connect and relate with other students abroad. Or maybe not, maybe that is a part of the appeal. But the marginalization of certain groups within the discussion boards may occur. I am interested in learning more about how members of this multi-country community relate to one another. Overall, I would recommend Mytestbuddy. 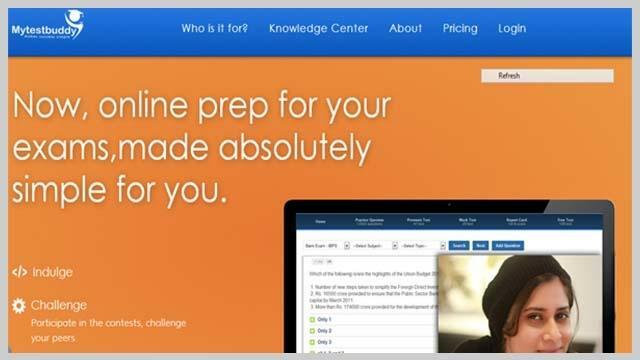 The site is comprehensive, social, and stocked with tons of practice tests that even some of the other test prep sites don’t offer. If you are looking for a friend to keep you on track and great test resources to help you make the grade, Mytestbuddy may be your answer. BrainPop.com Review: Popping Brains or Giving Migraines? Brightstorm.com Review: Stormy Weather or Clear Skies? The World is just ........ Awesome ! !